Do you like mystery thrillers? Do you like smartly written characters involved with right around the corner technology? Do you find yourself having to balance day time stuff chaos with family chaos? In the near future, messing around with human genetics is frowned upon, but messing with animal genetics is big business. Realizing how much we spend on our pets, the newest and most lucrative trend are genetically modified pets. Calines, which look like a small dog, but include canine and feline genetics, offer the loyalty of a dog, the intelligence of a young child, the cuddle factor of a cat, and are completely hypoallergenic. Calines are expensive as heck, but they truly are the perfect pet. Private investigator Aidra Scott’s newest client is the very recently widowed Gloria Frithke. Mrs. Frithke’s husband was found dead in their home, his throat torn out and the family caline standing nearby. The pet did it, of course. But Gloria is convinced there is something bigger going on. 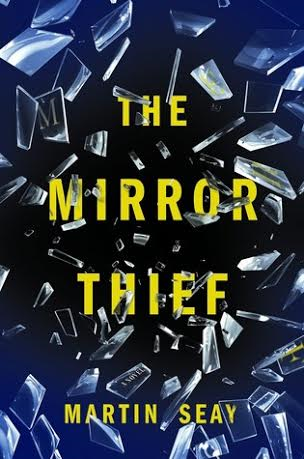 Can Aidra get to the bottom of the mystery before the evidence is destroyed, and Mr. Frithke’s research is lost forever? At first blush, looks like a standard mystery novel with a few speculative fiction elements, right? Well…… Almost. Along with the expected trappings of your standard mystery thriller, things like great pacing, chapters that end on smartly written cliffhangers, spying on people, and sneaky PI stuff, The Caline Conspiracy has well-presented scifi tech that blends seamlessly into the plot, excellent worldbuilding, and one of my new favorite protagonists: Aidra Scott. A few years ago at ConFusion, I met author Alex Kourvo. We were on a Book Reviewing panel together, and while the other panelists were fiction reviewers, Alex runs a book review site called Writing Slices, where she reviews “the books that teach you to write”. She’s reviewed books that focus on writing dialog, books that focus on writing exercises, books for young writers, books that focus on characterization, you name it. If you’re a new writer, a writer who wants to up their game, or just someone interested in craft of writing, Writing Slices can point you in helpful directions. An author and editor, her short fiction has appeared in Fantastical Visions IV and Reflection’s Edge. 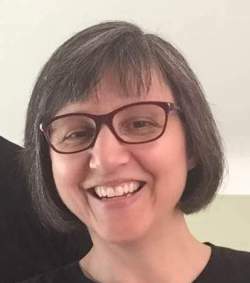 Along with her writing partner Harry R. Campion, she is the co-writer of the Detroit Next series of novels and novellas. 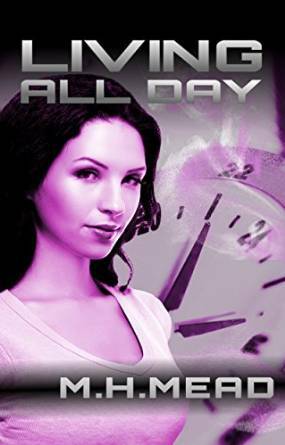 The newest book in the Detroit Next series is Living All Day, and if “series” make you nervous, the novels and novellas in this series can be read in any order. I recent read the first book in the Detroit Next series, The Caline Conspiracy, and it was fantastic. Fast paced, great characters, and a thrilling story that pulled me right in. Review coming soon! Alex was kind enough to let me pick her brain about just about everything – writing with a partner, the Detroit Next series, the Writing Slices blog, teaching writing workshops, and a lot more. 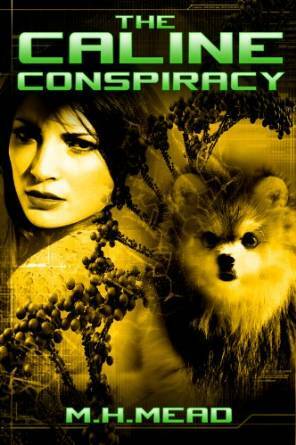 LRR: I recently finished the first book in your Detroit Next series, The Caline Conspiracy (it was awesome by the way! ), a near future thriller. You co-write this series with author Harry R. Campion. How is writing novels with a partner different than writing on your own? What are the advantages and disadvantages of writing as a team? I’ve been blogging since mid 2010, and on twitter for about five years. I’ve seen plenty of author promotion – some of it effective, and some of it terrible. Us blogger types can be harsher than slush readers and professional editors and publishers. At least those folks are obligated to read your first few hundred or few thousand words before deciding to read on. I’ll be making a decision to interact with you (or not) based on the first few sentences of your first interaction with me. I’ve been on a short stuff kick lately. Short stories, short novels, novellas. There’s just something about knowing I can get through an entire story with a beginning, middle, and end in a weekend. It’s not that I’m not reading fatty mcfat doorstopper novels, but these days they don’t hold as much allure (except this one, of course). Anyhoo, I recently zipped through these new novellas from Tim Powers and K.J. Parker. They were so quick to read in fact, that I was able to read them twice! 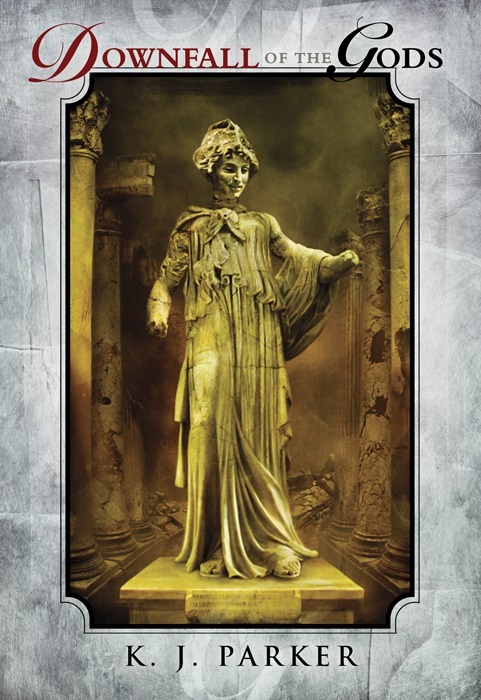 Downfall of the Gods by Parker came out from Subterranean Press in late March, and Down and Out in Purgatory will be available in late June from Subterranean Press. If you’re a fan of either of these authors, watch for these titles! Let’s start with the Parker, because of the two, it was my favorite. Imagine a parallel ancient Rome or Greece, where a pantheon of gods keeps the sun crossing the sky, keeps the crops growing, and occasionally visits Earth in human form for entertainment. What I most enjoyed about this story is that it’s from a Goddess’s point of view, and how the myths and what the humans believe the immortals do isn’t exactly the truth. The Greek mythology I grew up learning humanizes, but still idealizes Gods and Goddesses. The Goddess at the center of Downfall of the Gods has her own family issues, the aunts and uncles who hate her, the stupid things she says to her parents. She gets in trouble for forgetting things, she gets “grounded”, she’s bored out of her mind. I loved her as a character, even if she was a bit of an emo teenager. I liked Ernest Cline’s debut novel, Ready Player One. I don’t remember if I really *really* liked it, but I recall enjoying it. I was excited to hear he had a new book coming out, and even more excited when Armada showed up in paperback. 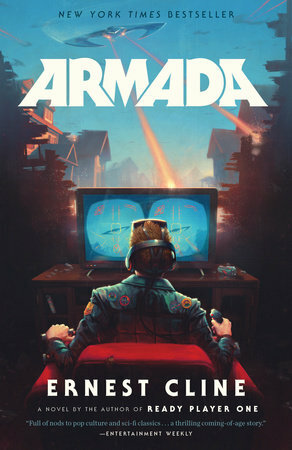 Armada was going to be just as good as Ready Player One, right? It was going to be better, right? Well, it was certainly an Ernest Cline book, that’s for sure. And Ernie Cline fan or not, you’re either going to really love this book, or really hate it. In his free time, high school senior Zach Lightman plays his favorite MMO, Armada, with his buddies. Even at his part time job at the local gaming and comics shop, Zach gets to play Armada with his boss when the shop is slow, which is usually is. And because this is an Ernest Cline book, not a paragraph goes by without a reference to the video games, music, and scifi movies and tv shows from the past 30 years. Zach even digs through his late father’s VHS tapes and cassette tapes, in an effort to know the father he barely met. Books are wonderful little things, and it’s a true bond between two bookish people when one says to the other “I picked out some books I think you might like”. It’s a special part of your brain that clicks on when you think about “would my friend like this book?”. 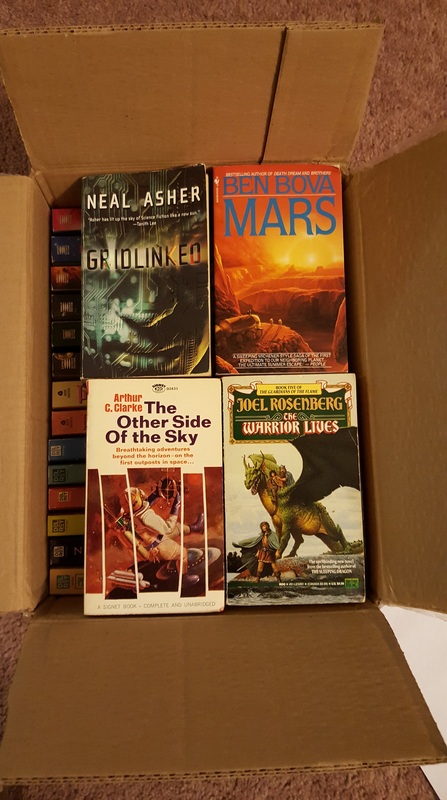 My friend Richard, of Tip the Wink, e-mailed me one day and said “I’m sending you a box of books”. Little did he know the look of glee that appeared on my face when I saw that e-mail. Someone was sending me books they think I might like? and even better, these were used, pre-loved books. I’d be able to say “my friend gave me these”. And I love getting to say that. I’m one of those weirdos who gives additional brownie points to friends who gift me their used books. A week later, Richard’s box arrived. It was like Christmas. In May. The squeeing begun right away. Arthur C. Clarke? Ben Bova? Neal Asher! So far so good! Let’s see what else is in here…..